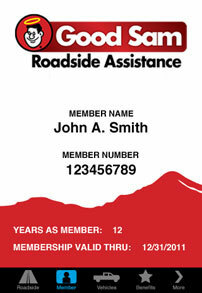 Good Sam Roadside Assistance has made it even easier for members to request assistance. 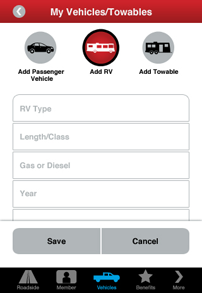 Introducing the Good Sam Roadside Assistance Mobile App! With the touch of a button, you can request roadside assistance anytime, anywhere if you are a Good Sam Roadside Assistance, Good Sam Platinum Roadside Assistance, or Good Sam Platinum+ member. Allows us to pinpoint your exact location! As soon as you place the call we know your location minimizing call time. Pre-register your membership vehicle(s). This cuts down on call time, which means help will get to you faster. Never worry about forgetting your card at home! 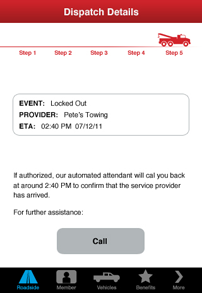 Get the name of the provider dispatched to assist you, along with their estimated time of arrival. Would you like to request assistance with the touch of a button, but you aren't currently a Good Sam Roadside Assistance member?